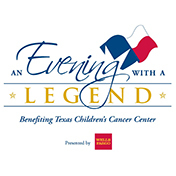 Financial and other information about Texas Children’s Hospital’s purpose, programs and activities can be obtained by contacting the Texas Children’s Hospital Office of Development at 6621 Fannin Street, Houston, TX 77030; 855-426-3569; www.texaschildrens.org; giving@texaschildrens.org, or for residents of the following states, as stated below. Florida: SC No. CH24960 A COPY OF THE OFFICIAL REGISTRATION AND FINANCIAL INFORMATION MAY BE OBTAINED FROM THE DIVISION OF CONSUMER SERVICES BY CALLING TOLL-FREE, WITHIN THE STATE, 1-800-HELP-FLA OR VIA THE INTERNET AT WWW.800HELPFLA.COM. Mississippi: The official registration and financial information of Texas Children’s Hospital may be obtained from the Mississippi Secretary of State's office by calling 601-359-1048. Washington: From the Secretary of State at 1-800-332-4483. CONTRIBUTIONS ARE DEDUCTIBLE FOR FEDERAL INCOME TAX PURPOSES IN ACCORDANCE WITH APPLICABLE LAW. 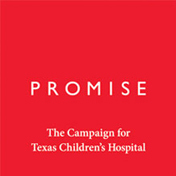 REGISTRATION IN A STATE DOES NOT IMPLY ENDORSEMENT, APPROVAL, OR RECOMMENDATION OF TEXAS CHILDREN’S HOSPITAL BY THE STATE.